Ever since his rise to power Stalin has been a controversial figure. From the hatred of his Trotsky-supporting contemporaries to the uncritical adulation of present-day followers in Russia and his native land of Georgia he has stirred passions and arguments. Traditionally, scholars, too, have been equally divided into totalitarians and revisionists. Despite the differences, however, one feature has remained constant: the vast majority of views of Stalin have been highly politically charged. 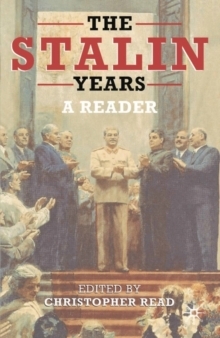 In this collection of cutting-edge research, Christopher Read guides the reader through the turbulent history of the Stalin years using post-Soviet articles which provide more balanced and scholarly assessments of the leader's time in power. 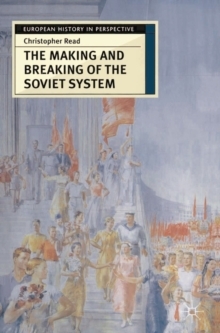 The essays examine not only Stalin's central role and the key points of his rule from the late 1920s to the postwar years, but also look at Russian society as a whole. 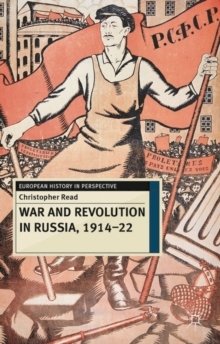 Taken together with Read's own contributions, which include an up-to-date historiographic survey, they constitute a complex and dynamic history of the central features of a terrible era. Containing a helpful glossary and a chronology of the life and times of Stalin, this indispensable volume will be the first recourse for all those with an interest in the debates surrounding Stalin's Russia. Pages: 241 pages, XVIII, 241 p.